Gastric Bypass- Why in India? If you are staying in the West, this may seem like a completely bizarre idea to a few of you! Traveling all the way from US/ UK/ Canada to undergo Gastric Bypass in India!! And the question is quite valid. Why should you choose to undergo Bariatric surgery in India? Bariatric surgery is fast emerging as a vital addition to medical tourism to India. It has become one of the main reasons for people from the West to travel to India. Bariatric surgery that you can easily afford! The cost of Gastric Bypass in India starts from around USD 6000 and varies with the surgeon, facility and the city in India where you choose to get the surgery done. Yes, you read it right. Gastric Bypass in India costs around US $ 6000 only. And mind you, low cost in no way means that there would be any compromise on the quality of care or services. You are treated by board-certified surgeons, surgery done at an accredited hospital, you stay at the hospital for 2-3 days, and all necessary pre-operative investigations are done. Your consultation with the surgeon, dietitian, physician, and anesthetist are all the part of the package. This is beside the airport pick up and drop, free consultations and facilitation by the IndiCure case manager. 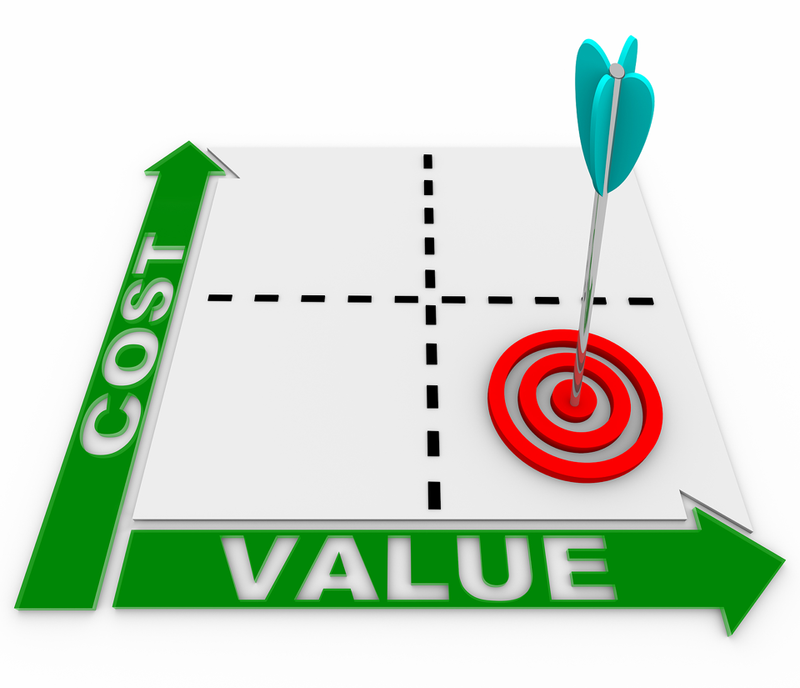 And similar goes for the cost of Gastric Sleeve. The cost of the Gastric sleeve in India starts from US $ 5500 and varies with factors as mentioned above. Why is the cost of Bariatric surgery in India low? It is natural to be curious about why so low cost when you offer the same quality? The simple answer is the low cost of the endowment in India and the favorable exchange rate. Manpower, even the skilled manpower is much cheaper as compared to the West. Also, because of the favorable exchange rate (1 USD= 74 Indian Rupees, 1 GBP= 95 INR), for Westerners; the cost of Bariatric surgery in India is much affordable. Also Read, What makes India a great Medical Tourism Destination? Now that we know a lot about India and why should you choose to undergo bariatric surgery in India, let’s know a little more about Obesity and Weight loss surgery. 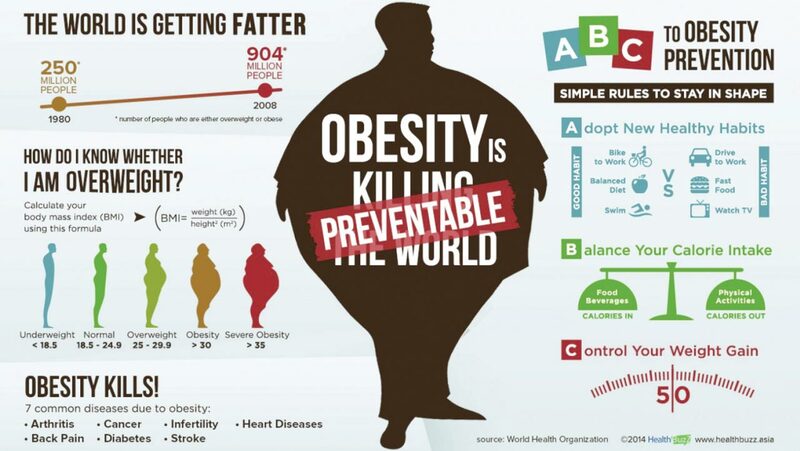 WHO defines “overweight and obesity as abnormal or excessive fat accumulation that presents a risk to health” Obesity has been declared a disease, it is simply not just result of overeating, obesity is an illness that adversely affects all aspects of an individual’s life. The risk of diseases like diabetes, hypertension etc. 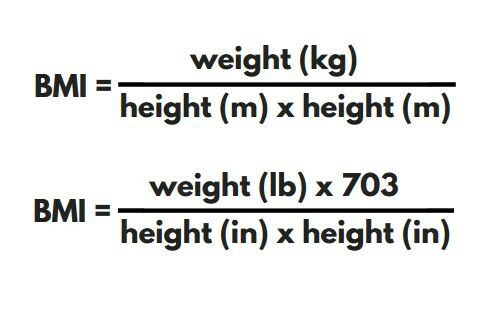 increases many folds for individuals who are overweight. Obesity and Why should you worry? BMI till 32 is a controllable stage that can be managed with strict diet and exercises but in cases of BMI above 40, it is quite difficult to lose weight even with strict diet, exercise or other weight loss measures. This situation can only be best managed with Bariatric surgery. Bariatric surgery, commonly known as weight loss surgery works on the principle of restriction in the amount of food that you can consume and malabsorption of unnecessary nutrients by the body; thus resulting in maximum weight loss. BMI 35 or more with the chronic or life-threatening health condition that is related to weight like type 2 diabetes, hypertension, hypercholesterolemia, heart disease etc. One of the most commonly performed and highly successful weight loss surgeries is Gastric Bypass Surgery. In normal digestion process, food passes through the stomach and reaches the small intestine. In the small intestine, most of the nutrients and calories are absorbed. 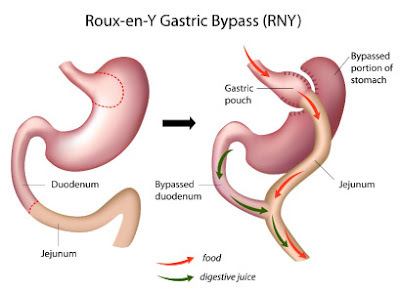 The gastric bypass surgery makes the stomach smaller and causes food to bypass part of the small intestine. This results in an early feeling of fullness with less food at one time as compared to the amount of food taken originally. As a part of the intestine is bypassed, less food and nutrients are absorbed leading to dramatic weight loss. Gastric bypass surgery can be performed either as an open surgery that is done through a large incision in the belly or as a laparoscopic procedure through various small incisions. · In the first step, the stomach is made smaller by using staples to divide it into a small upper section (about the size of a small banana) and a larger bottom section. The upper smaller section or pouch will receive the food and can hold only about 1 ounce (oz) of food. This smaller size results in less eating and early filling of the stomach. · In the second step, the upper smaller section or pouch is connected to a small part of the small intestine (the jejunum) through a small hole. This makes a new route for the food from the pouch to the small intestine. This results in less absorption of calories and ultimately weight loss. 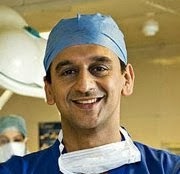 Gastric Bypass in India is done laparoscopically. However, you would stay at the hospital for about 3-4 days under medical supervision to make sure you are healing well. It is normal to experience some pain and discomfort after the surgery which can be controlled with medications. You can start routine activities after a week to ten days after the surgery; while exercises and heavy work would need to wait for 6-8 weeks. As the surgery makes a new and smaller route for the food, the person eats only small amounts of food and body also absorbs much lesser calories. This will result in up to 70 % (two-third) weight loss within two years of the surgery. In fact, this weight loss can also be maintained with proper diet, exercise and lifestyle changes. Improves the disorders or reduces the risk of disorders that may occur due to obesity like diabetes, hypertension etc. It is quite understandable that undergoing surgery itself is a tough decision and if you have to travel abroad for surgery, it can become overwhelming. But this can be worth the effort and time if you are sure of safety, quality of care and reliability. IndiCure assures you all this and more. IndiCure is the most renowned medical tourism company and one-stop destination for a smooth, economical and successful medical experience in India. We work to provide the most affordable and best treatment to our clients from specialized doctors who are associated with the top-of-the-line hospitals that have an unmatched infrastructure in terms of excellent healthcare amenities. We help patients coming from foreign countries in obtaining the medical visa, preparing documents, arranging appointments and stay, facilitating transportation for medical care etc. Our commitment begins from the arrangement of Visa and continues even after you go back and need any sort of assistance.